these were the first two grandkids and they happened to be at our house when our youngest daughter was getting her senior pictures taken! I had a a few snapped of these two that I am just getting around to scrapping! 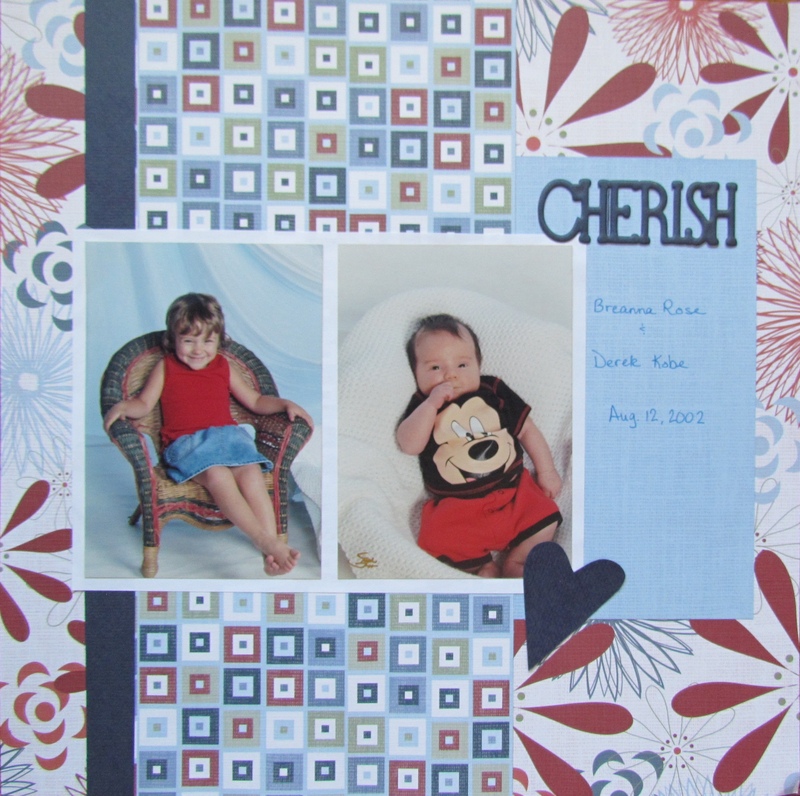 I am using old background paper that I don't especially like and otherwise using the scrap box! Oh they were so little!!! How time flies!! Your papers match their clothing so well. I love that. The papers go so well with the photo's of your beautiful grandchildren! I had/have papers like that too!! The colors are wonderful.